Hi guys, I'm currently looking for a multiplier rod as recently got a penn 525 mag 2. I fancied a change and thought I should have at least 1 multiplier set up in my kit. I haven't used a multiplier before but I'm a fast learner (at things I'm interested in) so im confident in mastering the technique of using one. The thing is iv got 2 rods I'm happy with for distance from the beach. I'm thinking maybe I should get a shorter rod at about 12-13ft that's strong for rough ground work and can be used where there's less space for large rods. Anyone recommend any quality rods that would work well with the penn 525?? I have no hesitation in recommending a Daiwa Supercast 13 ft for what you have in mind. Not too expensive but tough as old boots and you can have a FS or Multi version. One of my mates has one and you can belt it as hard as you like without fear of failure. 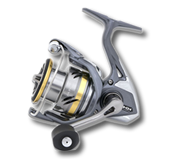 eccles wrote: I have no hesitation in recommending a Daiwa Supercast 13 ft for what you have in mind. Not too expensive but tough as old boots and you can have a FS or Multi version. One of my mates has one and you can belt it as hard as you like without fear of failure. Hi Roy, iv yet to try it as waiting for my Multiplier rod to be delivered. I will set the mags between 4 and 5 and give it a go. I mainly got it for rough ground and am loading it with 30lb line so I'm not expecting it to cast far.